There are currently 3,669 users on this website. Simon Wiesenthal, Israel-austria Joint Issue. 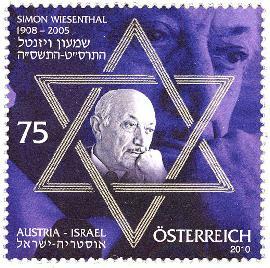 In June 2010, Israel and Austria issued a stamp to commemorate the life of Nazi hunter Simon Wiesenthal. The stamps were the first ever to be issued using a Laser etching and lacing technology and the Star of David can be seen on both sides of the stamp. 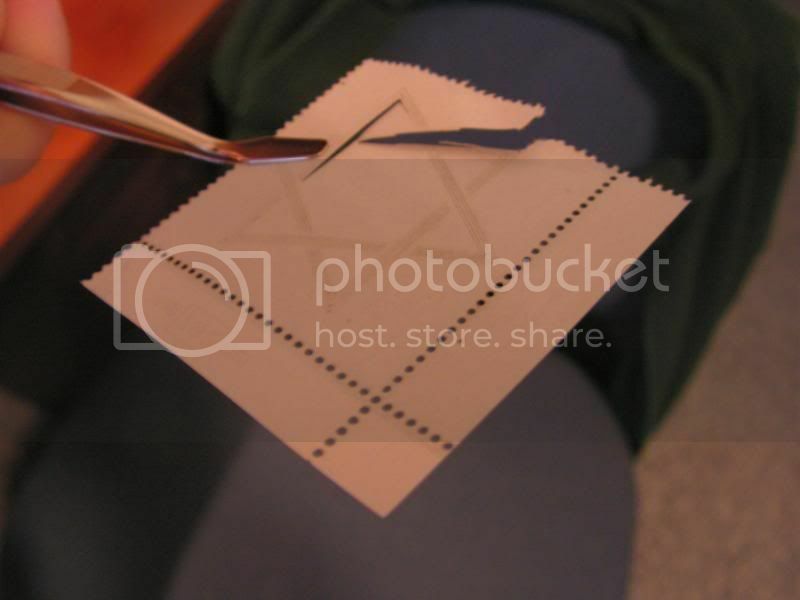 The perforations were also done using Laser technology. The stamps were printed by a Thai-British Laser Security Printers in New Zealand. 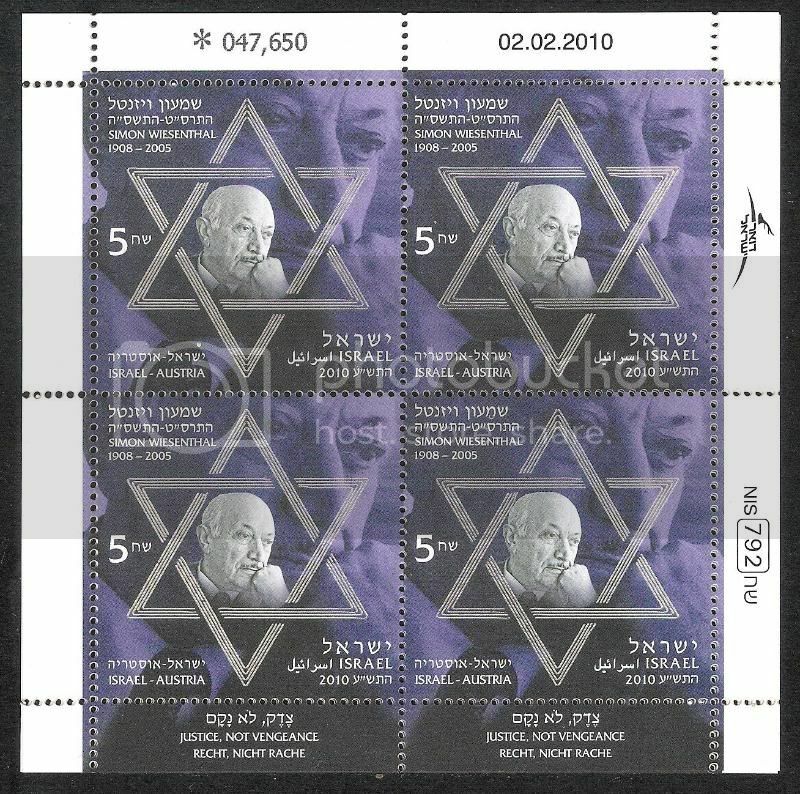 The Israel stamp was issued in Sheetlets of 4, two with tabs. On the tab is written Wiesenthal's lifelong motto " Justice, not vengeance". I do not have an example of the Austria stamp but it is almost identical except for the country name and value. Both were printed by the same company. I was in our office yesterday and was shown a new arrival of stamps by our Secretary, as I often am. One was this issue and I took some sheetlets away with me. 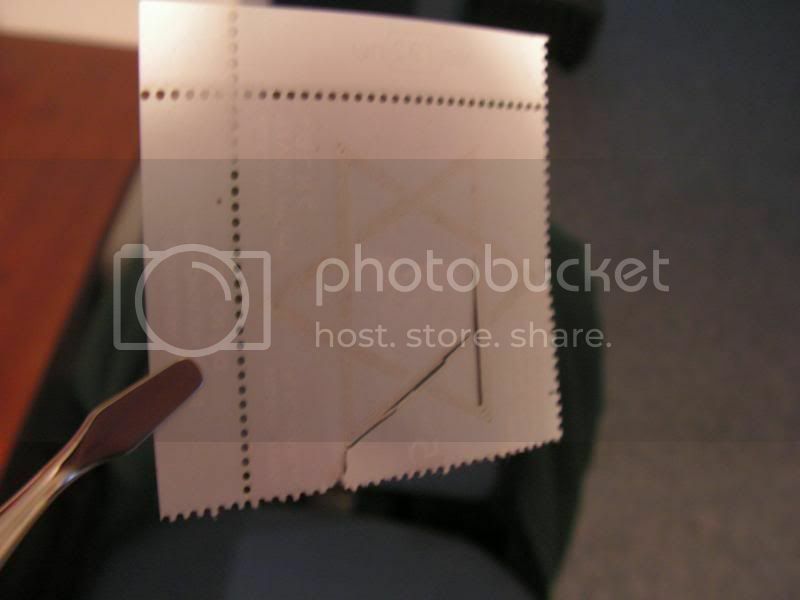 But before I did I was shown what happened when she tried to seperate the stamps from the sheet for use on mail. I was immediately intrigued as there seemed to be no regular pattern to the splitting. [see below] Most of the problems occurred around the Star of David. The joint issue Stamp group has advised never to soak this stamp off the cover....now I know why ! Does anyone have an Austrian example to show and tell ? Or has anyone seen one used off paper ? Might be interesting to know. Londonbus1....not splitting just yet ! I guess these will have to be collected in mint condition. They must have set the lasers on HIGH! Seriously, they are impressive stamps with important historical significance. If I am ever lucky enough to get a used one, I will definitely keep it on paper! Thanks for the heads up. If I am ever lucky enough to get a used one, I will definitely keep it on paper! For you, a used copy can easily be arranged ! Reminds me of a tecnique to prevent re-use of the stamp. You are too kind. When I get to my 50 posts, I think I have some flags for you.